Not for Rollercon… did that already. 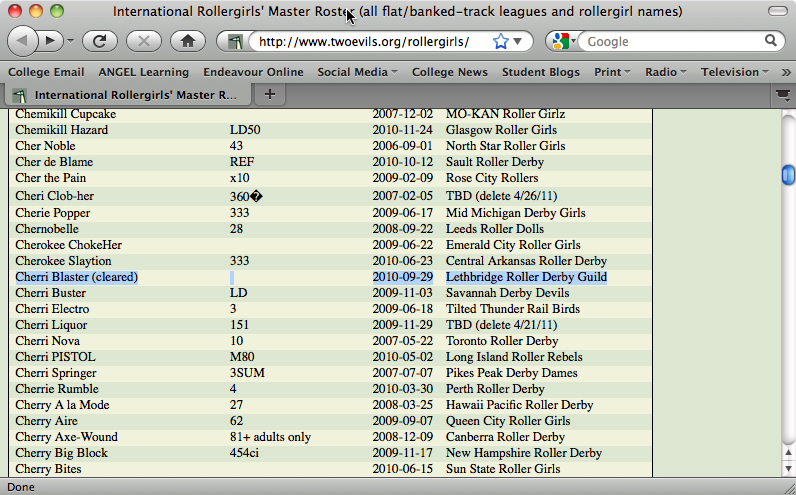 I went to the Two Evils website, like I do every once in a while, as I had submitted my roller derby name way back in March of 2010. Considering my first choice was already taken by a skater in Vancouver I went ahead and started the motions of getting my second choice for a name acknowledged as mine. A couple of skaters had similar names, one of which was Cherri Blast-Her. Securing my name meant tracking down this skater’s league and getting permission to use my version, as the derby rule states that names should not be exactly the same and in some cases, can not be similar. After getting the approval from the other league (Blast-Her was no longer a skater), back-and-forth emails between myself and the Two Evils crew and a year after I first registered my name, I’m on there! Cleared for takeoff! Forgot to submit my number, but I'll take it! It’s pretty cool to be part of such a crazy-huge database. Thanks so much to the Two Evils crew for your never-ending work on this! 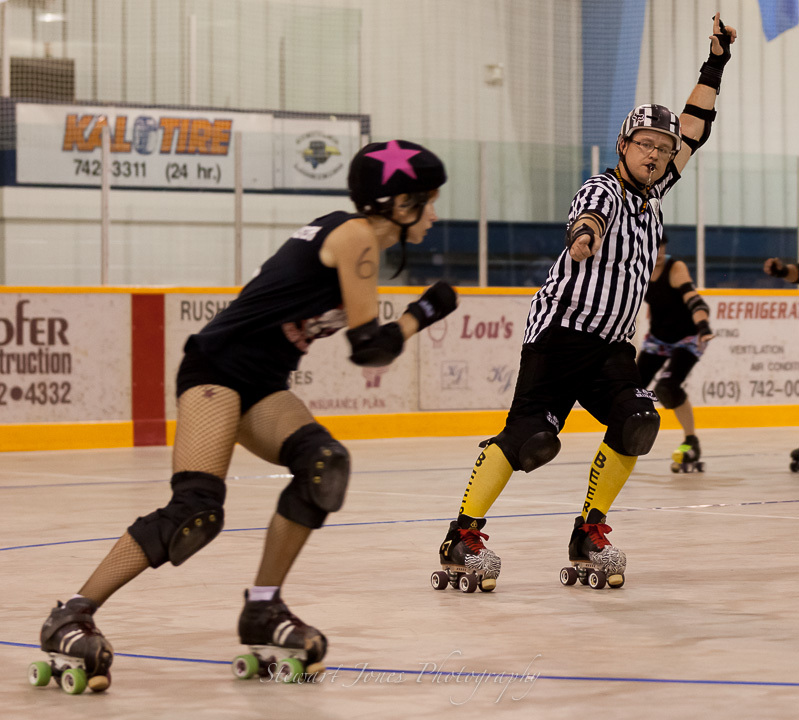 This entry was posted in Deathbridge Derby Dames, Derby Name, Lethbridge Roller Derby Guild. Bookmark the permalink. Congratulations, this is great news! It’s also a little overwhelming to think that it might take me another year yet to get a name… I’m currently in process, and it seems that I might have cleared the hurdle of a skater with a similar name in another league only to face a word-in-common issue with someone on my own league. Fingers crossed for me, because the name is dead perfect!